France Inde Karnataka is an association registered according to the 1901 law in France, which is specific to associations working for the common good. 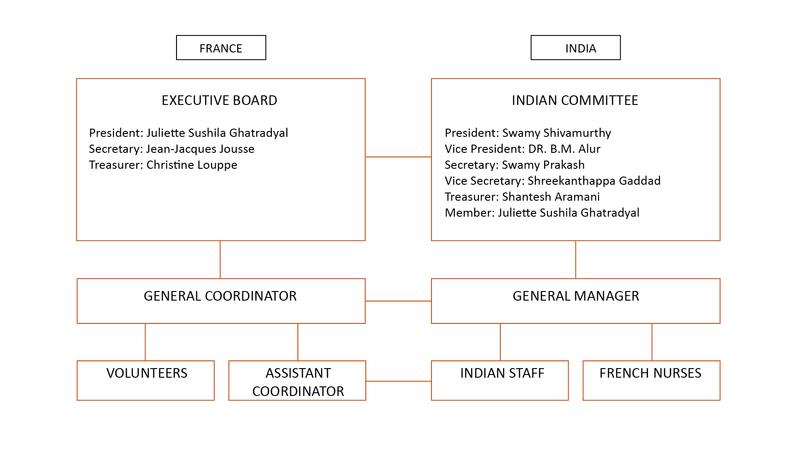 In France, the association relies on a team composed of the president, the secretary and the treasurer, supported by a full-time general coordinator. In India, a site manager runs the hospital and develops new projects in the field. He manages the Indian staff and coordinates French nurses and volunteers who occasionally come to help the local staff.